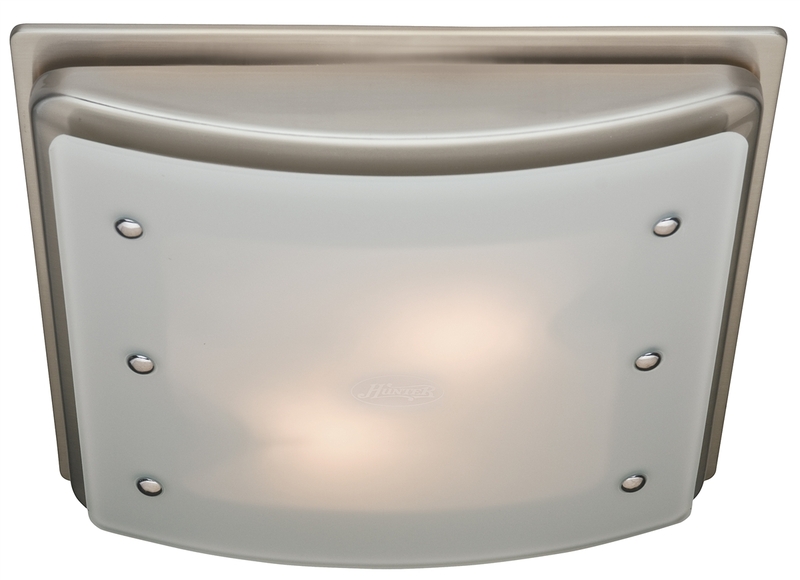 The Hunter Ellipse decorative bathroom fan with light and nightlight features a brushed nickel frame with swirled marble glass and matching brushed nickel accents. It provides superior air movement to remove excess moisture from your home and away from your family before it creates an unhealthy environment. Uses 2x A15 60-Watt bulbs (not included). Nightlight uses 1x C7 7-Watt bulb (not included).